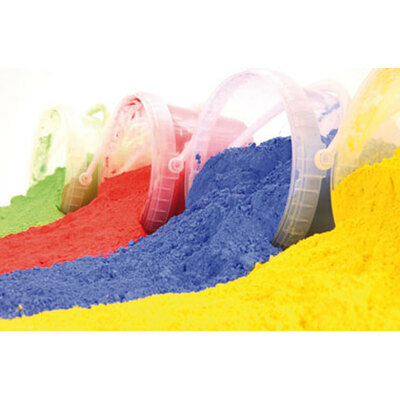 Suitable for use in nurseries and preschools, these safe to use Powder Paint pots can be easily mixed together to create new colours. Simply mix with water to create free-flowing paint, they can help to develop children's creativity while providing hours of imaginative play. Highly economical in their design, each power paint is non-toxic, wheat free and gluten free to prevent the risk of allergens during use. 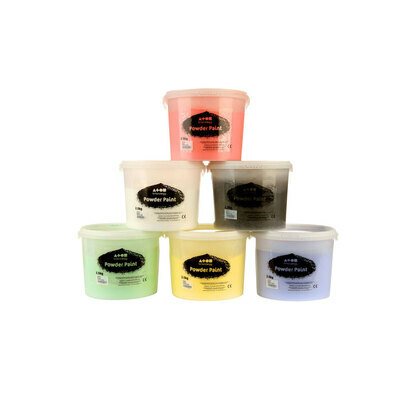 And, for peace of mind, these powder paint pots are all washable and can be cleaned from hard surfaces with ease. As an effective alternative, we also stock our Assorted Ready Mixed Paints along with 12 Disc Watercolour Sets and even Chunky Paint Markers - all at exceptional wholesale prices.